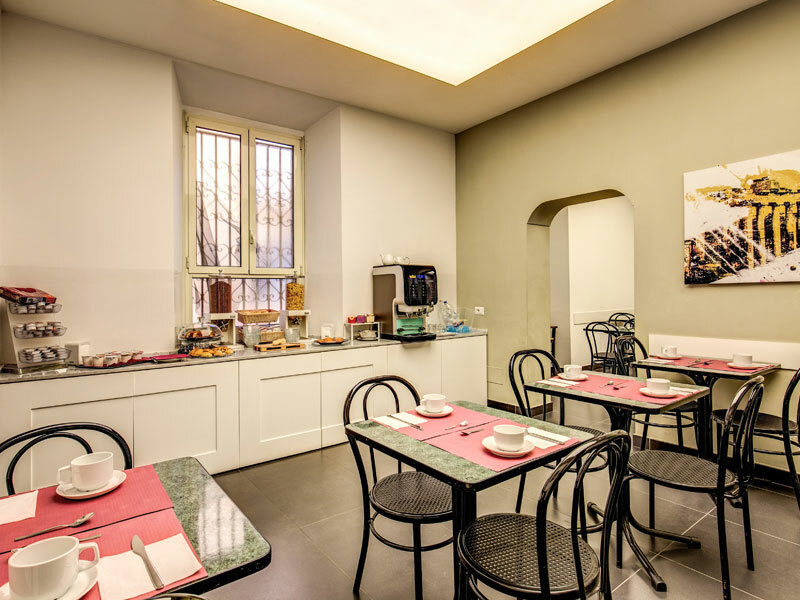 The Hotel Continentale Rome is situated just 200 metres from the B-Line Metro Station of Castro Prettorio and just 10 minutes from the transport hub of Termini Station. This means that within moments, guests to the Hotel Continentale can reach all of the major tourist attractions with the minimum of hassle. For example, from Castro Prettorio, the awe inspiring Coliseum and ancient Imperial Roman Forum are just 3 stops away (around 5 minutes) and Circus Maximus is the stop after that. 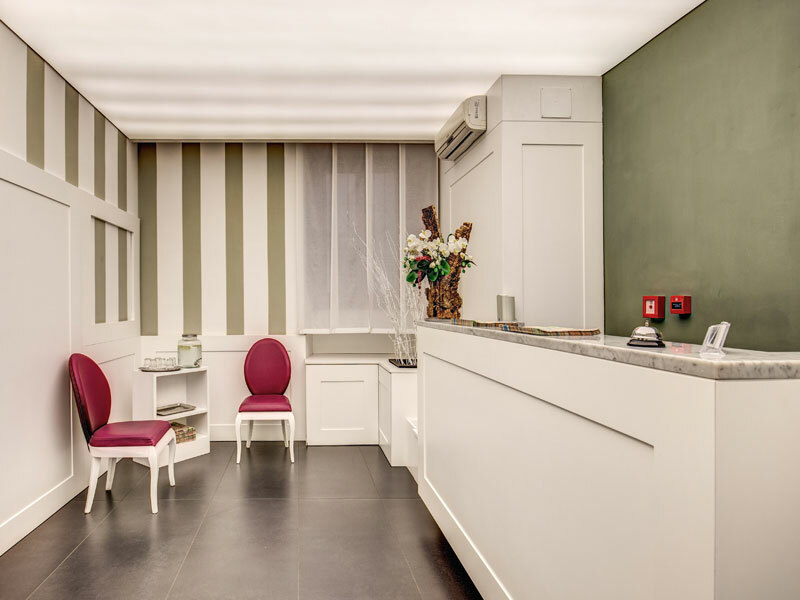 From Termini Station guests have access to both underground metro lines and so are also just moments away from the Trevi Fountain, the Spanish Steps, Piazza del Popolo and Villa Borghese, St Peter's Basilica, the Vatican Museums and the Sistine Chapel. 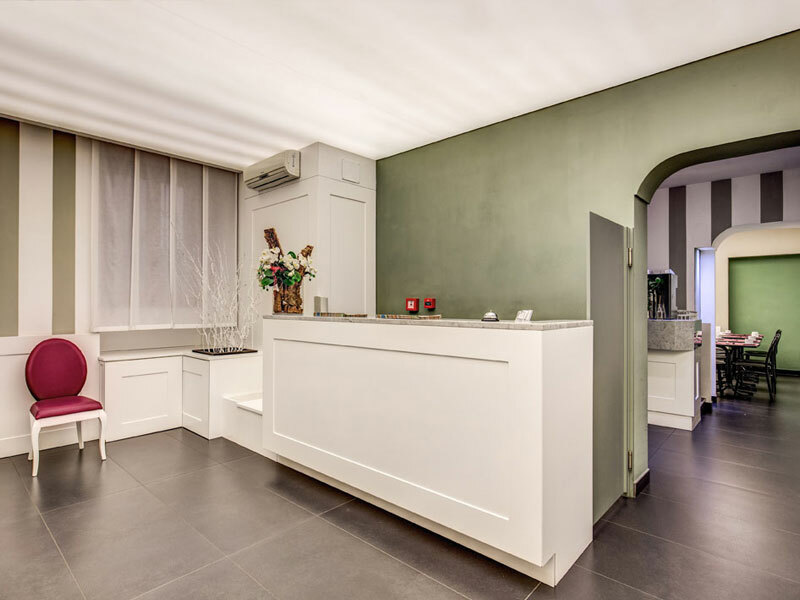 Hotel Continentale Rome is located within a 10 minutes' walk of Termini train station.Exit the train station by track 1, walk straight for four blocks along Via Solferino and turn right onto Via Palestro. We are at number 49.
by a daily Express Train – in the airport follow the signs that read 'aitreni' and take the Leonardo Express to Termini station. This departs every half hour (first departure at 6.37 last-23.37) and takes about 30 minutes and is direct. Tickets currently cost € 14per person with a discount for those under the age of 12 when accompanied by an adult. You can buy tickets from either the ticket window, the vending machines, or the tobacco store near the tracks. Then follow the directions 'From Termini Station' above. Bus Shuttle, leaving every 30 minutes and stopping at Termini Station then follow the directions 'From Termini Station' above. Ticket prices vary but should be less than 8 euros Taxis are available at the airport. Please be sure to take an official white taxi which has the prices from the airports printed on the side. Take the Terravision bus shuttle for 8 Euros. The bus will stop on Via Marsala at Termini Stations then simply follow the directions 'From Termini Station' above. Alternatively one can take the blue Cotral Bus service that connects Ciampino Airport to the Anagnina Metro A (underground) station. Tickets can be purchased at the vending machines located at the bus stop or inside the airport. Once you arrive at Anagnina, buy a metro ticket and get off at Termini (about the 15th stop). Then follow the directions 'From Termini Station' above. So what are you waiting for? Make your booking now before someone beats you to it and experience the wonders of Rome at an amazingly low price.